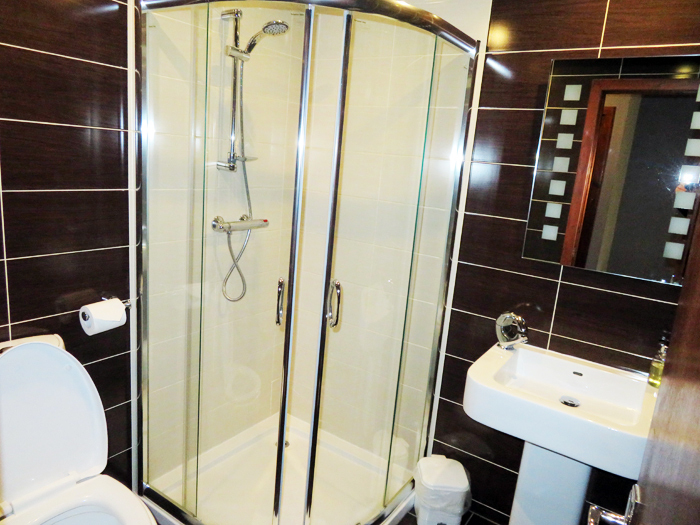 The Auld Kirk offers comfortable accommodation with en-suite facilities. 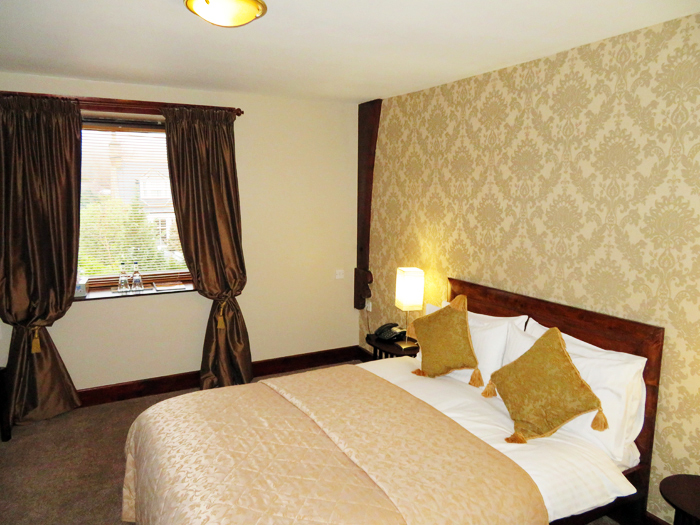 We have 7 well-appointed guest bedrooms, with a mix of twin and double and family rooms, all situated on the first floor of the building. 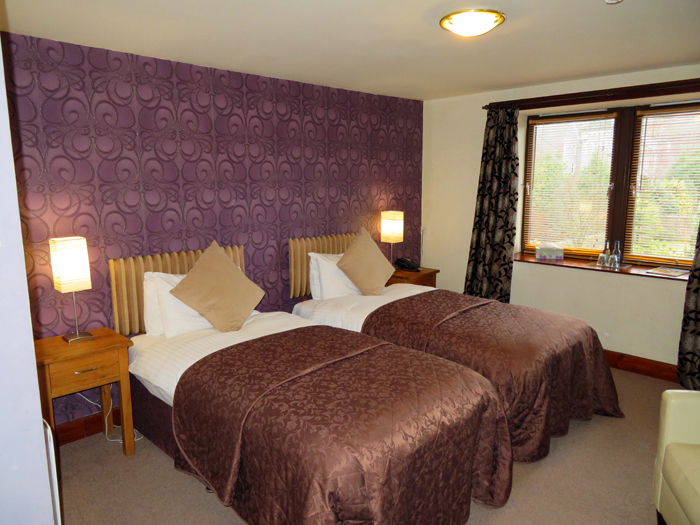 An ideal place to stay for a quick stopover or a short stay to explore the beautiful Cairngorms National Park. 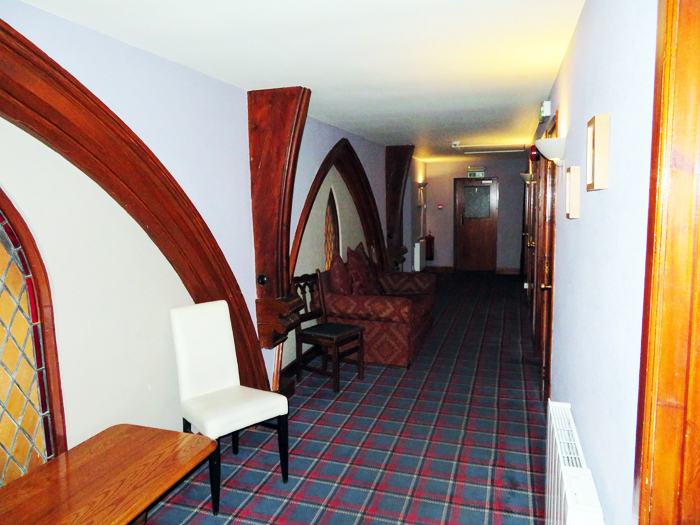 We welcome children in our family room, and babies stay free ofcharge if you can supply your own travel cot. 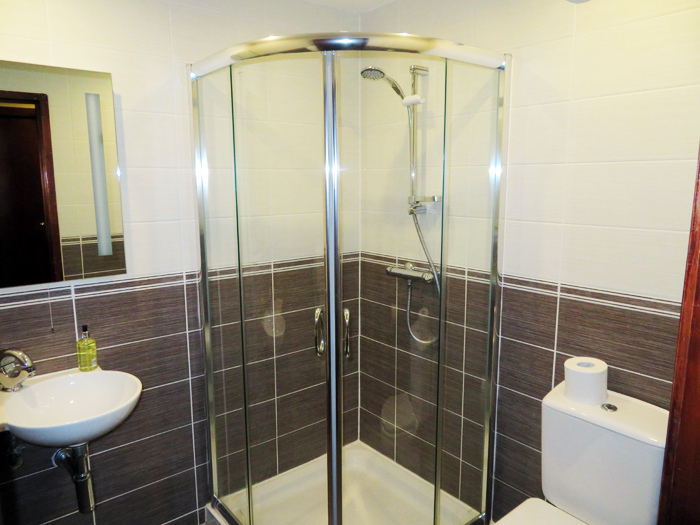 The bedrooms are fitted with smart contemporary shower rooms.One double room is available with a bath. 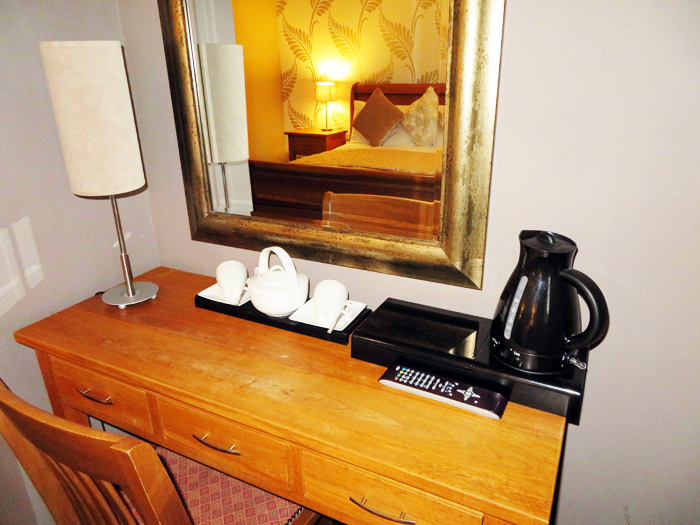 All rooms have wireless internet access to enable use of yourown internet device. 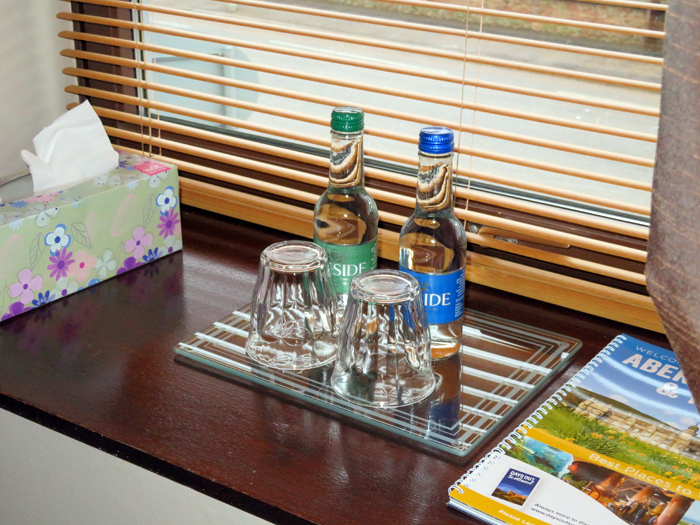 Complimentary beverage making facilities, local still andsparkling mineral water, televisions, ironing equipment, hair driers andScottish Soap Company toiletries are to be found in all rooms. Check in is between 2.30pm and 6.30pm, during which time we will be here to welcome you to the Kirk and provide any assistance or information you may need. If you need an earlier or later check in, please let us know in advance and we’ll do our best to accommodate you. 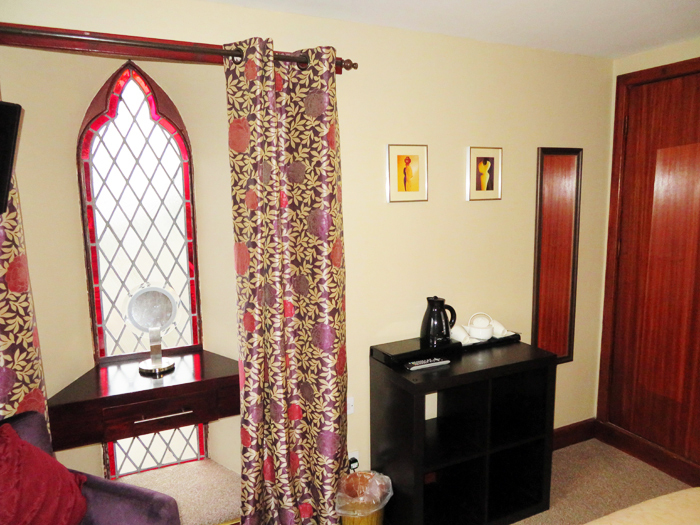 The Coffee Lounge closes at 5pm but the comfortable ground floor guest lounge, situated in the former side chapel, remains open for resident guests use. A wide range of beers, wines and spirits, including a selection of malt whiskies, is available. Blending the old with the new, this lounge provides a stylish and interesting space in which to relax with a drink, a good book, plan your next castle visit or recover from a day’s hill walking. 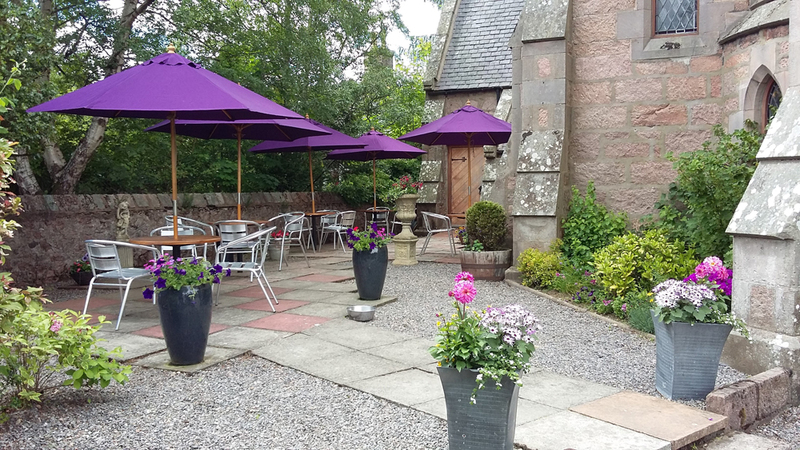 An external terrace area is also available for guests to makethe most of the fine Scottish weather – umbrellas can be found in the porch!!! Residents planning a day in the depths of GlenTannar or a hikeup Lochnagar may need to take a packed lunch. We can easily make up a packedlunch from the items available in the coffee lounge. 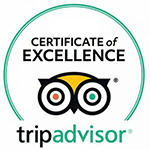 We will be happy todiscuss your personal requirements. 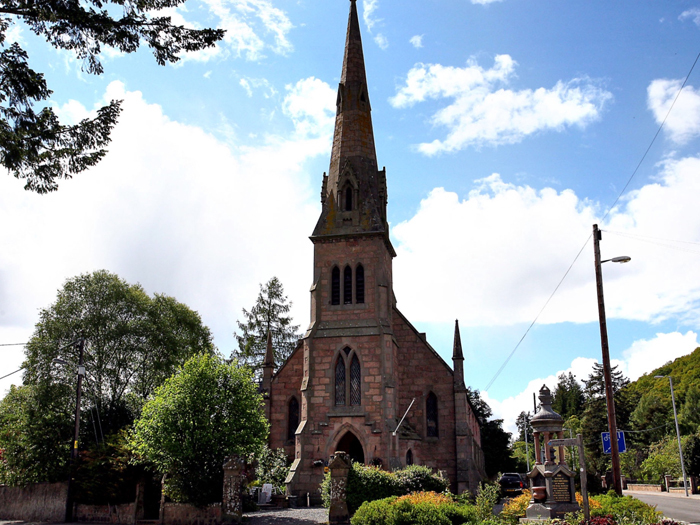 We are pleased to welcome well behaved dogs at the Auld Kirk.Several good dog walking routes are available in the immediate vicinity of theKirk and in every direction around the village. 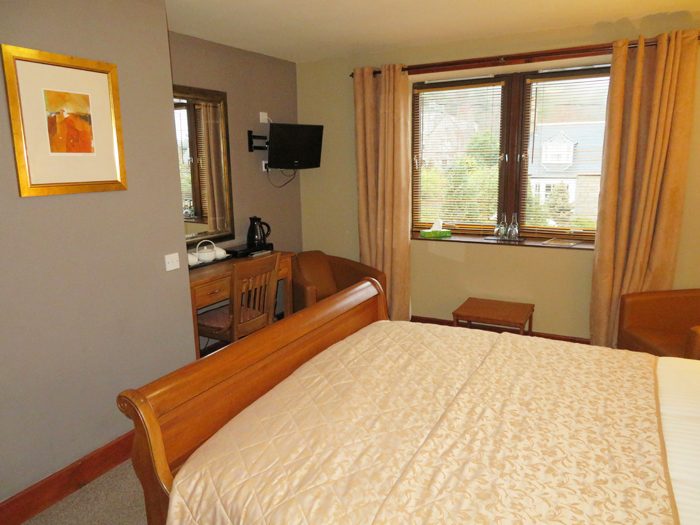 Please bring your own dog bedding and we would ask that guestsdo not lock unattended dogs in their rooms. Dogs are also welcome in the café and lounge areas providingthis does not disturb other customers. We do not make any additional charge for dogs unless of courseyour dogs was to damage furnishing or fittings or cause extra cleaning. 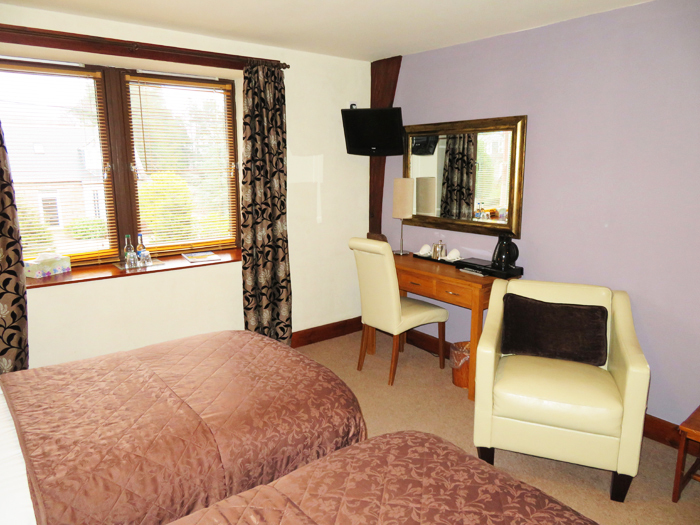 Double or twin room – £125 per room per night. (maximum of two persons per room). 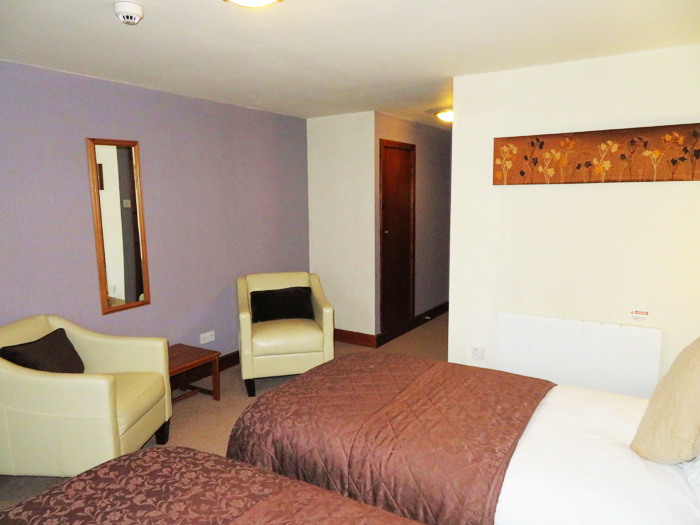 Family Room £140 per night. 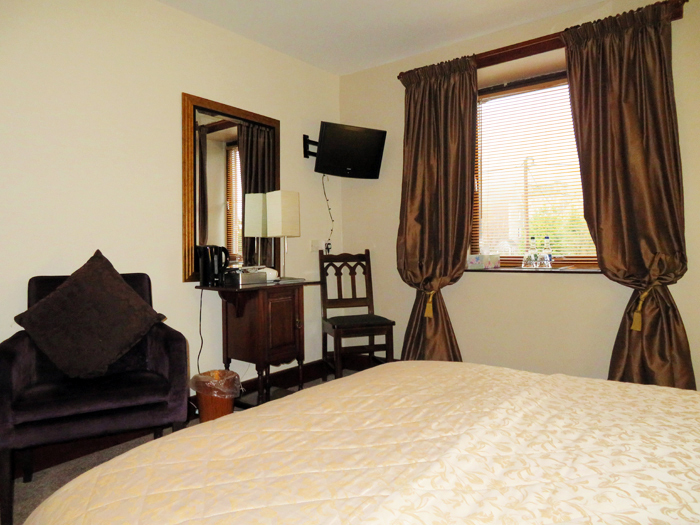 At certain times of the year we may have special rates availableand may also offer a reduction for single occupancy. Disclaimer: Any external links available from this website link to an external source and due to this we cannot be held responsible for any information displayed on those sites. Any inaccuracies or misrepresentations are the sole responsibility of the external site in question.